The Upstairs Artspace is a nonprofit contemporary art gallery in downtown Tryon, North Carolina. We exhibit two- and three-dimensional art and craft by leading artists of the Southeast, particularly, the Carolinas, as well as artists nationally and globally. We have a long standing reputation for art that is sometimes experimental, often avant-garde and always collectible. Our artists are usually established in their careers, but we also welcome the emerging artists whose work is fresh, innovative and challenging. 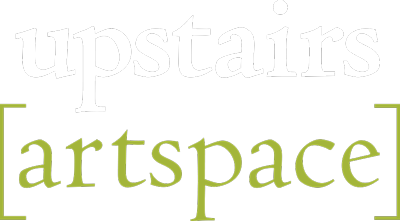 The Upstairs was founded in 1978 in the upstairs bedroom of a local artist Craig Pleasants. Today we occupy a handsomely renovated building with over 3000 square feet of exhibition space in three separate galleries. The exhibitions change every six to eight weeks and are typically developed around a theme. The exhibits are curated by our experienced Exhibits Committee. We have a strong schedule of programs designed to educate children and adults through tours, lectures, workshops, demonstrations, films and classes in local schools. The Upstairs is supported by public and private donations, sales of art, grants, and fund-raising events. The UA is supported in part by the Mary F. Kessler Fund, the Polk County Community Foundation, and the North Carolina Arts Council. Join our email list below to receive notifications about upcoming exhibits and events.